When Elmer Elevator hears about the plight of an overworked and underappreciated baby flying dragon, he stows away on a ship and travels to Wild Island to rescue the dragon. RUTH STILES GANNETT wrote My Father's Dragon just a few years after her graduation from Vassar College in 1944. It was an immediate success, becoming a Newbery Honor Book, and was soon followed by two sequels, Elmer and the Dragon and The Dragons of Blueland. 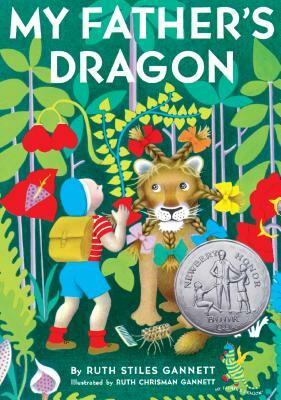 All three dragon stories have been continuously in print in the more than 40 years since their publication. The author's other books include Katie and the Sad Noise and The Wonderful House-Boat- Train. She is married to the artist and calligrapher Peter Kahn. They have seven daughters and seven grandchildren. Visit her online at www.myfathersdragon.org.